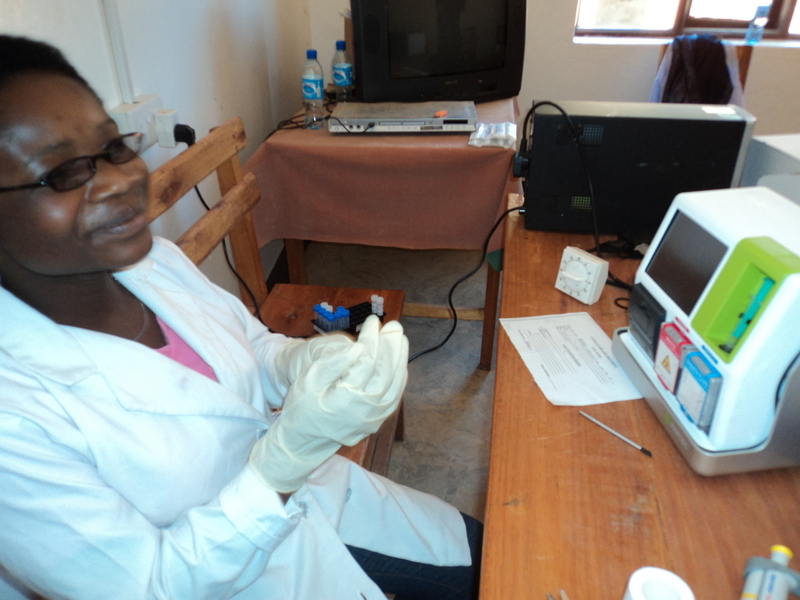 On November 10th, Highlands Hope Umbrella and the TANWAT Care and Treatment Centre (CTC) brought the Partec Mini-POC CD4 and CD4% technology to its first village setting in Imalinyi, about 35 kilometers from Njombe. This marked a major milestone in the implementation of effective, accessible HIV-AIDS awareness, testing and treatment in Njombe through TANWAT-based health services. 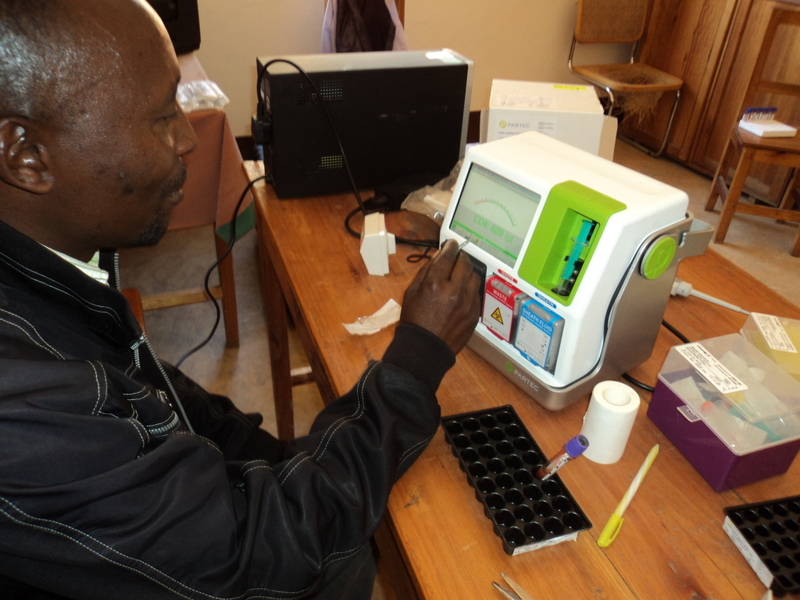 The advantages of the Partec Mini-POC system were immediately evident and the first try-out was very successful, according to Highlands Hope Umbrella Coordinator and TANWAT CTC Director Betty Liduke (see below). More in-depth analysis of the implementation of the POC HIV care is being conducted by the Ingram School of Nursing from McGill University. Graduate student Maggie Wilson was part of the roll-out team and conducted several interviews to assess qualitative aspects of POC technology from the perspective of health seekers. It is important to note that the Partec Mini-POC, like all Partec systems, also evaluates CD4%, a necessary diagnostic for pediatric AIDS patients. It is noted with some sadness and concern, that among the 14 patients who tested positive on this village visit, six were children. This joint TANWAT, Highlands Hope Umbrella, McGill, and Partec project is hoping to address the problem of pediatric AIDS directly by making testing and treatment more accessible for families and ensuring that high quality pediatric diagnostics are immediately available for any child who tests positive. On Sunday 10/11/2013 was a good day when we arrived at Imalinyi village with the POC machine. 100 people Tested for HIV AIDS and 14 people for CD4 count. Among the 14, six were children; this was a good start. Coordinator. He appreciated the work of TANWAT and Highlands Hope Umbrella. Thanks to the team of HHU friends in Canada and Partec team for donating the POC machine.